3-Star was founded in 1950 by Aage Jensen. He was a skilled young butcher and had a particular interest in salami production. In 1967 Aage Jensen took over his former place of work, Horsens Public Slaughterhouse, and converted it into modern production facilities. 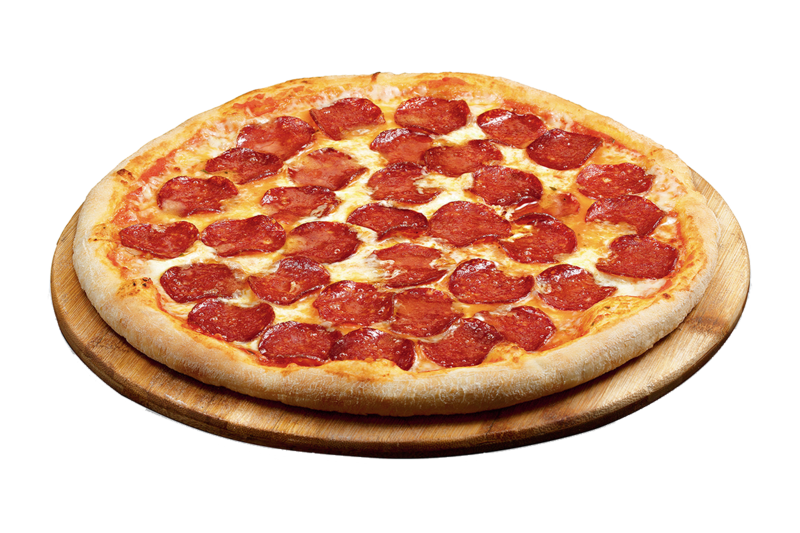 The classic pepperoni, which is the American variety of salami, made from cured pork and seasoned with paprika. Sliced product. The classic pepperoni with a spicy flavor of jalapeno. A great alternative to the classical flavor when spicier taste is preferred. Sliced product. 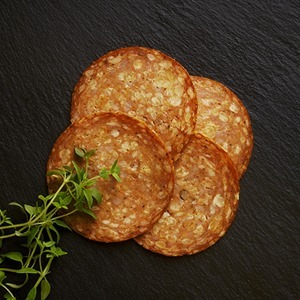 The Italian inspired salami, which is seasoned with salt, pepper and garlic. Sliced product. The chorizo is a great tasting spicy sausage, which is a great alternative as a topping. Inspired from Spain, it is smoked and seasoned with red peppers. Sliced product. 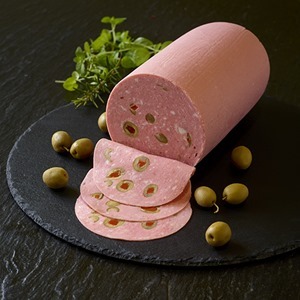 The mortadella with olives is an Italian inspired large sausage that should be served sliced. Perfect for breakfast and lunch buffet. 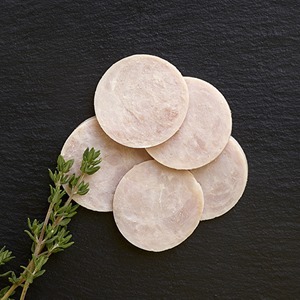 The mortadella with garlic and paprika is a great tasting alternative for the breakfast and lunch buffet. 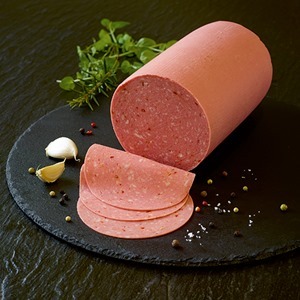 The ham sausage is based on pure ham and is having a great mild taste. Available in a 800 g. version, perfect for the buffet. 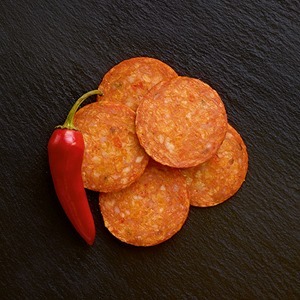 The classic pepperoni with a spicy flavor of jalapeno. Available in a 170 g. version for retail sales. 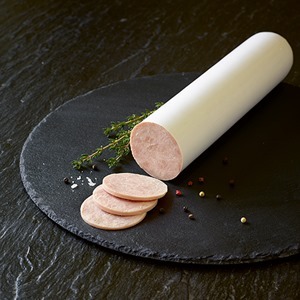 The ham sausage based on pure ham. Available in a 200 g. version for retail sales. As craftsmen with a passion for quality we strongly believe in first class Danish raw materials, which we treat with respect and a continued focus on creating new exciting products. 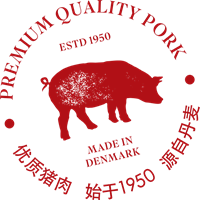 Atria Denmark is an innovative and inspiring supplier of quality products, packed and sealed in Denmark, ensuring a high food safety standard for the Chinese market. 3-Star as well as Aalbæk Organic Delicatessen are brands under Atria Denmark which is a subsidiary of Atria Plc, one of the largest food industry companies in Scandinavia.